Recorded at Regent House and Mind and Media (Copenhagen) and Tona (Hamburg), autumn 2001. 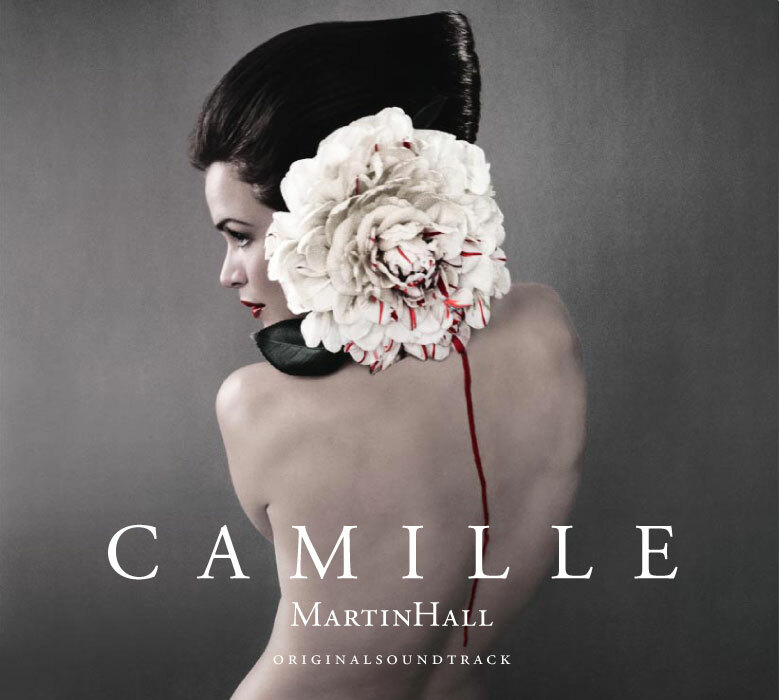 Martin Hall’s soundtrack to Gladsaxe Teater’s major 2002 launch, the theatrical production of Alexandre Dumas fils’ The Lady of the Camellias, received a line of overwhelming reviews at the time of its release. All newspapers and magazines unanimously gave the album top ratings and called it Hall’s perhaps best album ever! With the words of leading Danish lifestyle magazine Nat & Dag: “Hall hasn’t got his equal in Denmark, and when he then, close to his 25-year jubilee as an active musician and composer, at a time when most others seem satisfied to rest on their laurels, produces some of his finest works, well, then there are plenty of good reasons to take off one’s hat, dip the flag or however else you want to show your respect”. The record also received high scores on different international websites such as Grenzwellen where it became “Album des Monats” (the album of the month). Camille has taken its title from the film version of the story from 1936 in which Greta Garbo stars in the leading role as Marguerite Gautier. Among the soloists on the album is Danish-Italian mezzo-soprano Andrea Pellegrini who performs three arias out of the record’s all in all 14 compositions. The cd was recorded in Copenhagen, Denmark, and Hamburg, Germany, with the orchestra The Vista Dome Ensemble and the choir Konsort. The end title “Late August” is performed by Saccharin vocalist Katja Andersson. The leading parts of the theatre performance was played by Danish film star Stine Stengade and intending upcomer Thure Lindhardt. Alexandre Dumas fils’ original manuscript was rewritten and directed for the stage by Flemming Enevold. The set design was made by Louise Beck of Operanord and all costumes were designed by the internationally acclaimed Danish designer Joergen Simonsen. The play premiered at January 20, 2002 and ran until April 21.